All prices include: flights, transfers, accommodation, guided activities and meals; all as listed. 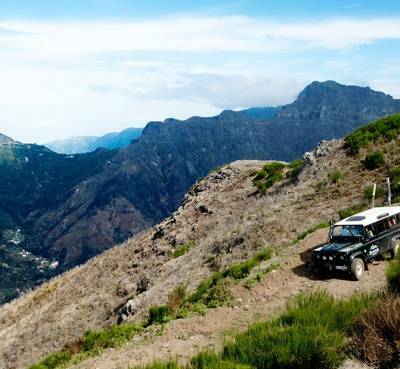 Dotted with volcanic craters, covered in jagged, tree-lined ridges and stunning vistas, Madeira really has been forged by fire into a jaw-dropping destination which has to be seen to be believed. By foot, jeep and boat you’ll discover how volcanoes have shaped the island into the natural beauty it is. From the moment you arrive on the main island, you’ll feel Madeira’s volcanic presence but it is not an ominous one. Instead, you’ll discover it is rich in history, forms incredible natural landmarks and provides a stunning backdrop against the glistening coast where marine life play. This seven-night activity-filled holiday lets you experience the best of the volcanic main island. All of the experiences and services listed below are included in the holiday price. Flights: direct return flights from London to Funchal. Flight routes subject to change. Regional departures are available on request and may attract a supplement. The following activities are included in the holiday: Jeep tour to Craters of Fire, dolphin and whale watching, guided walk through Vale Paraiso, jeep tour to the northeast, guided tour of the volcanic caves of São Vicente (the order of activities is subject to change). 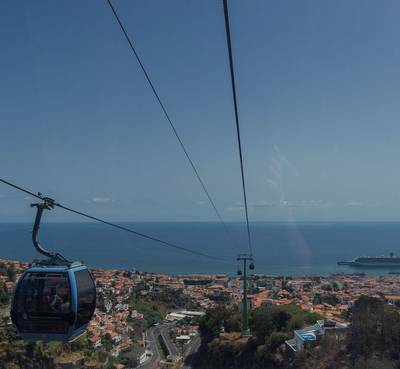 What Madeira lacks in size it certainly makes up for with a wealth of experiences. During this seven-night holiday that’s exactly what you’ll get. 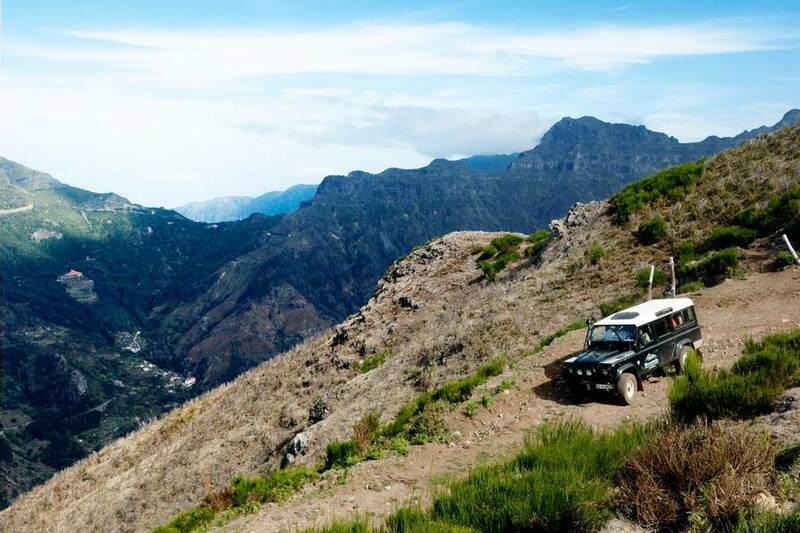 From jeep tours and boat rides to walking trips and even travelling underground, you’ll discover Madeira in so many different ways. 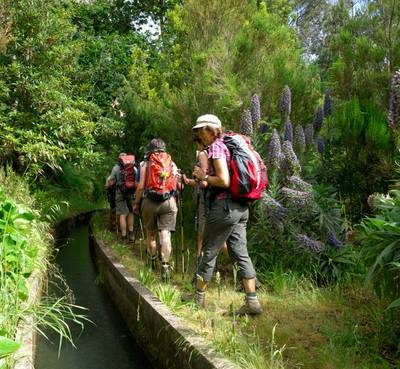 Explore the volcanic terrain on a guided walk alongside a traditional Levada. Go underground to see how the lava formed an impressive network of complex tunnels. Reach incredible lookout points as you travel by jeep, which can easily access higher points on the main island. The wildlife here is another enticement but to see the best of it, you’ll have to get away from the land. 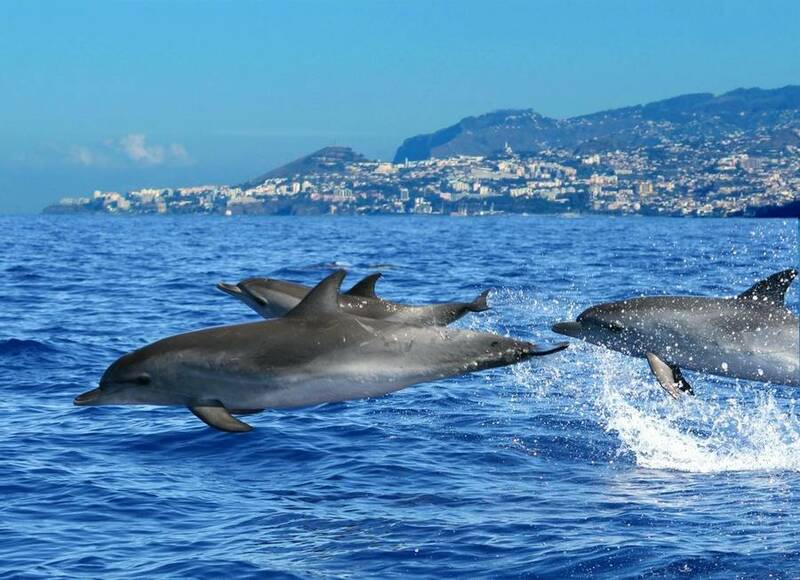 You’ll head out on a boat in search of the many cetacean species swimming in Madeira’s waters including a variety of whales and dolphins. 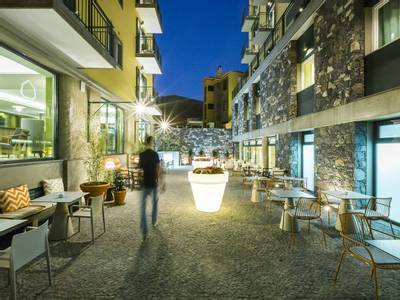 You’ll also have plenty of free time to discover more of Madeira or revisit your favourite spots. 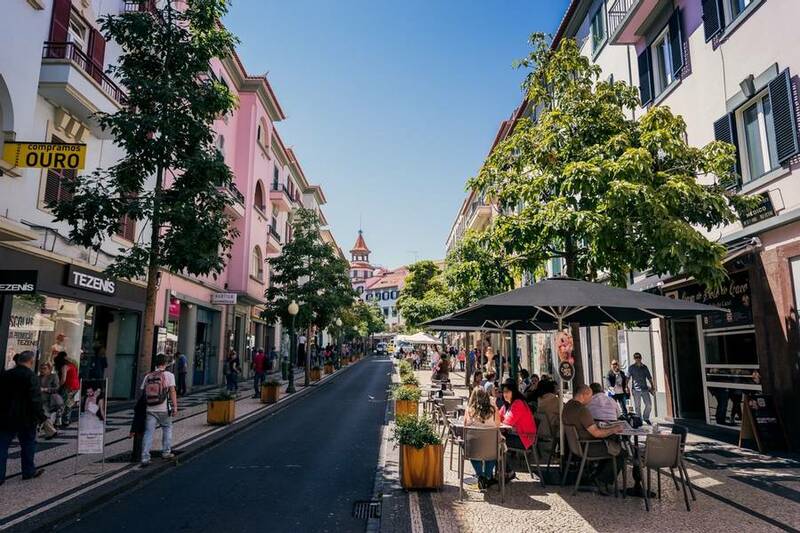 Due to your central location in Funchal, you’ll be within walking distance of museums, the cathedral and restaurants to sample the local food. Madeira’s sub-tropical climate and delectable wine are often seen as its most alluring features but, as you’ll discover during your holiday, this archipelago deserves more credit than that. 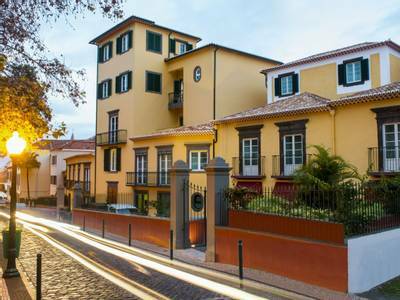 After your flight, your transfer vehicle will be ready and waiting to take you to the Castanheiro Boutique Hotel. Depending on your flight time, you may want to get out and start exploring straightaway. 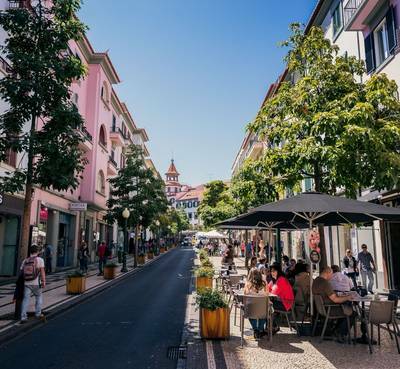 As you’ll be staying in the heart of Funchal’s Old Town, you’ll be within easy walking distance of local restaurants and bars as well as several museums. Following breakfast, you will journey off-the-beaten-track and onto a volcanic one. Travelling by jeep is an easy way to traverse over rocky terrain and this tour takes you to some of the best spots on the main island. What’s more, the southwest area of Madeira is also said to enjoy the best sunshine. Discover how fire and lava created the stunning volcanic formations towering above and plunging below. You’ll also see the banana trees and sugar cane plantations along the way and stop for a picnic lunch (included). 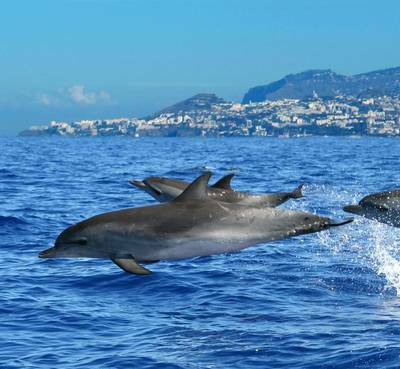 Following breakfast, it’s time to glide over Madeira’s majestic waters and look out for the many species of marine life swimming here. Marine biologists will accompany you on the Rigid Inflatable Boat (RIB) and tell you facts about the wildlife in the area. 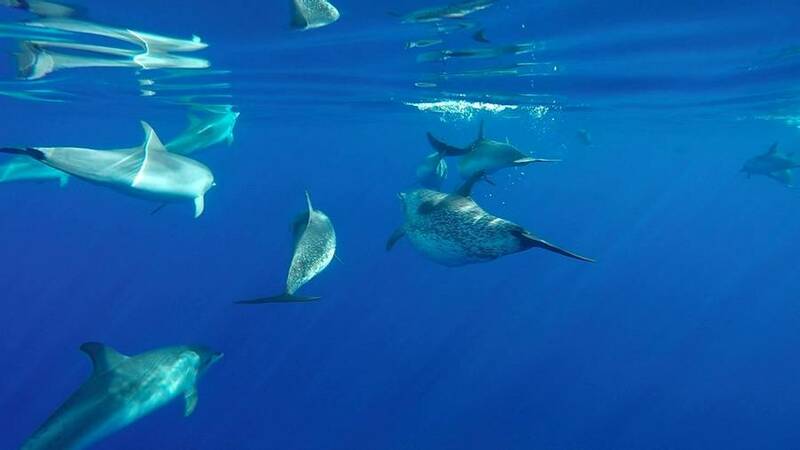 They’ll also help you spot the cetaceans which can include bottlenose and Atlantic-spotted dolphins, short-finned pilot whales and humpback and sperm whales. 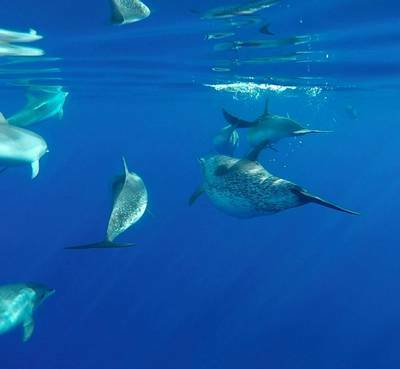 Make sure you have your camera ready – some of these animals can move very fast and the dolphins, in particular, can be extremely playful in the waves. You’ll have a free afternoon and evening to spend as you please. 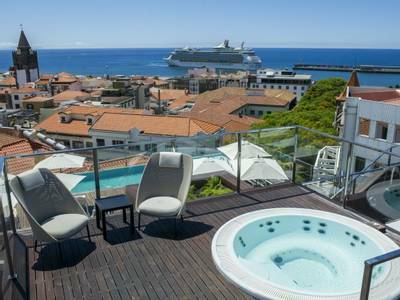 Perhaps you want to explore more of Funchal’s Old Town or maybe you want to relax by the pool at the hotel, the choice is completely yours. We also offer different optional activities. Click the ‘Personalise’ tab for more details. Levadas are mini canals built to distribute water from heavy rainfall and each one has an easily accessible track beside it that makes for a great walking route. 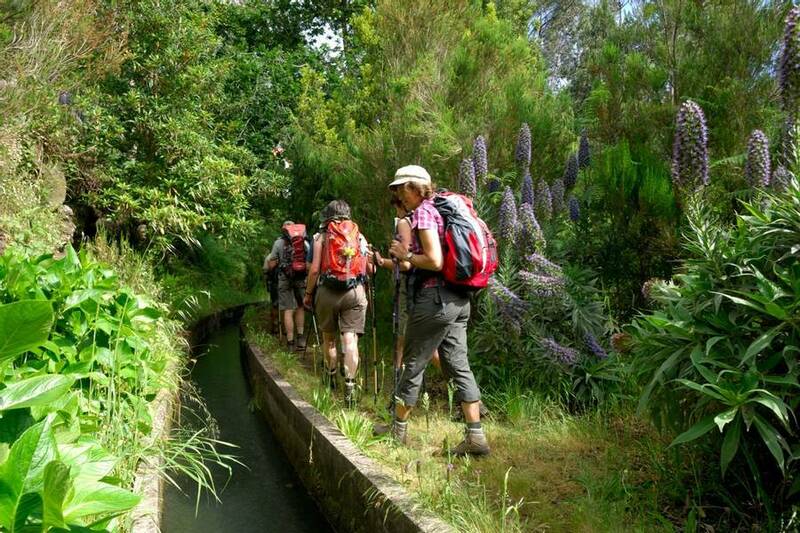 After breakfast, you’ll follow one in particular – the Serra do Faial Levada from Vale Paraiso to Rochäo. You’ll feel like you’re strolling through a hidden forest as you take this leisurely guided walk underneath a canopy of eucalyptus and oak trees. The green valley then opens up with views over different villages, including Camacha, an extremely picturesque place known for its wicker baskets. This is an easy walk that will last approximately 2 hours (6km). Following the walk, you’ll have a free afternoon and evening to spend however you’d like. View the ‘Personalise’ tab to find an activity to fill your afternoon with. 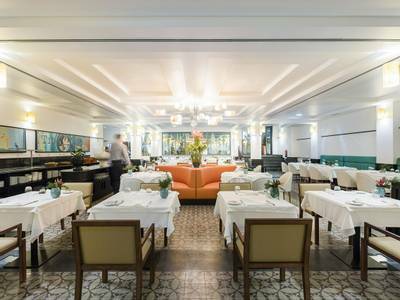 Afterwards, we recommend heading down to the water’s edge and finding a restaurant with a view of the incredible sunset that envelopes Madeira’s coastline. Following breakfast, you’ll hop back into the jeep. This time, it’s to explore the captivating coastal region of the northeast. Strolling through the village of Santana is like looking into the past as almost nothing has changed here in many years. Admire the thatched houses, the smell of wood coming from the working water sawmill and the scents of rum from the steam-powered factory. This is an experience for all the senses! You’ll stop at different points along the way to really take in the full rural north east coast. This tour also includes a picnic lunch. Following breakfast, you have a free morning to enjoy as you please. View our ‘Personalise’ tab to find a fun activity to fill your time. In the afternoon, you’ll take a minibus trip to the volcanic caves of São Vicente. 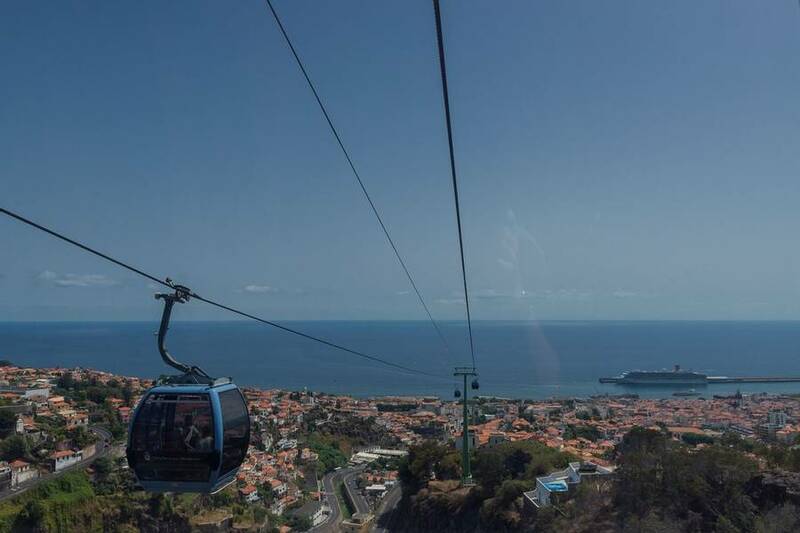 You can’t go anywhere in Madeira without noticing its volcanic past and this tour digs further into the history of the archipelago. You’ll walk through part of a complex system of volcanic caves as you learn more about the main island’s origin. The tour will also take you to some impressive viewpoints on the south coast along the way including Faja dos Padres, a small cove where plants grow in abundance. Today you’ll have a free day to explore Madeira however you would like. Make sure you fuel up on breakfast first before you head out. You could choose from our optional activities such as kayaking or canyoning for an adventurous way to see more of the island. Click the ‘Personalise’ tab to find out about the activities on offer. Unfortunately, it’s time for your Madeiran adventure to come to an end. Depending on your flight time, you’ll either eat breakfast at the hotel or we’ll box it up. A transfer vehicle will then take you to the airport so you can start your journey home. 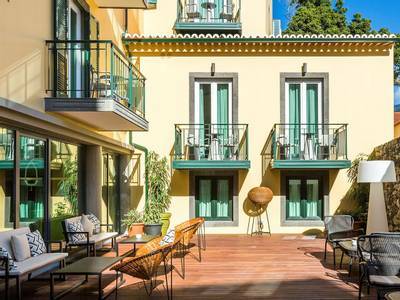 The Castanheiro Boutique Hotel is situated in Funchal’s fascinating Old Town, next to the Palace of Jesuits and only steps away from a host of wonderful local restaurants, cafés and shops. The cobbled streets, terracotta-roofed buildings and beautifully painted houses make for charming surroundings. The hotel is composed of five historical buildings, each with unique heritage and character. 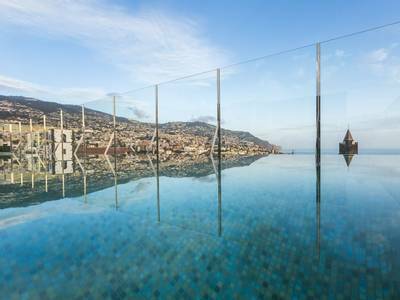 Spanning from the 18th – 20th centuries, the buildings have been lovingly restored and transformed into this spectacular hotel. 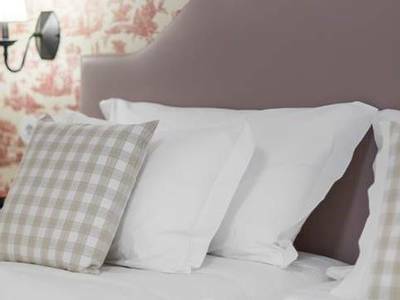 Our package includes accommodation in a double or twin-bedded standard room. Each room has an en-suite bathroom, as well as air conditioning, TV, telephone, hair dryer, in-room safe, minibar, robes & slippers. In a beautiful valley in rural Madeira, lies a hidden green canyon. During this activity, you won’t just discover the canyon, you will travel through it as you follow the water on its journey downstream. 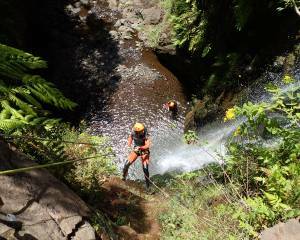 Canyoning is a safe, yet adventurous activity that allows you to travel in the direction of the water as it makes its way through the picturesque canyon. On your journey, you’ll come across four different rappels varying in altitude up to 17 metres. There’s also two small slides and two small jumps (optional). 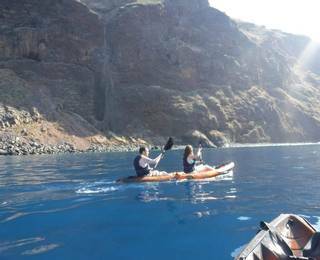 There’s no better way to appreciate the coastal waters of Madeira than to get out onto it. Using a sit-on-top kayak, you’ll paddle out to the Underwater Nature Reserve of Garajau. Established in 1986, this reserve is full of marine life including large fish and manta rays. You’ll hopefully see the different species as you kayak along the water but you’ll also have plenty of time to snorkel and enjoy the underwater sights too. Available: Monday to Saturday, May to October, with a minimum of two participants. Kayak capacity is two adults and one child. Adults may have to share a kayak, depending on group size. 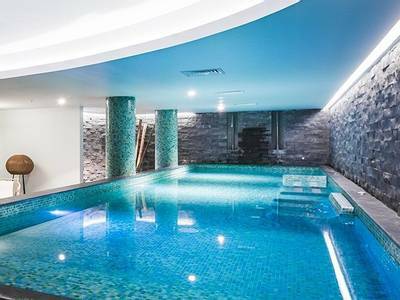 To secure your holiday for next season, you can make a pre-reservation by paying only £50pp. The provisional departure dates, prices and itineraries remain subject to change. We will contact you when the final dates, prices and itineraries are confirmed and you will have 14 days to decide if you would like to go ahead. Should you wish to proceed then a further deposit (typically of £250pp) will be payable at this stage. If you decide not to travel, we will refund your initial £50pp payment. Our Travel Experts will happily provide you with full terms and a complete quotation.